Read here how you can use a Cook shed to create the perfect greenhouse to extend your love of gardening throughout the year! If you have a container garden, then you probably have it where it will receive the most amount of light. But when storms come up or an unexpected frost comes, you can easily bring them inside your garden shed to shelter them from the elements. Then, when the threat has passed, you can bring them back out into the sunlight. If you want to learn more about container gardening, watch our videos here! 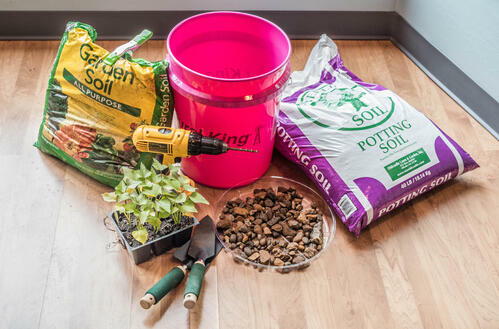 When you’re gardening and landscaping, you can quickly acquire a good bit of equipment and supplies. Every piece needs a safe place, away from the elements that it can be stored. Your garden shed, when organized correctly can be a place not only to store your items but to complete some gardening tasks as well. Here are some great storage ideas for your garden shed! Your shed can be for so much more than just storage! Use it to create a workspace for your garden. You can have all your tools and dirt stored inside so you can easily pot your plants. Plus, throughout the summer, you can easily mix and add any needed nutrients. If your shed is near your garden, then set up a few chairs and a table inside. Then, open up the doors and enjoy your garden view! It will be a great, shaded spot to relax after you’ve been working for a bit. There are so many ways to use your garden from storing, working, to relaxing! 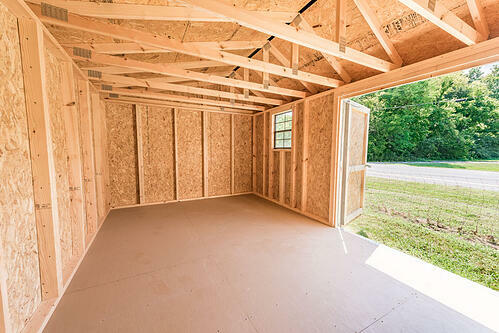 Cook sheds make this possible with the various sizes offered and the quality materials they’re made of. 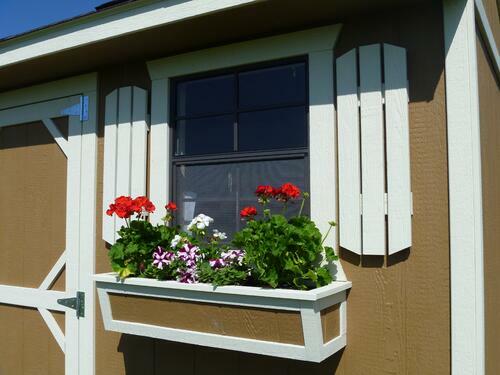 Cook offers other great amenities with the Garden Shed option as well, with a window and flower box which will allow you to easily incorporate your shed into your garden. 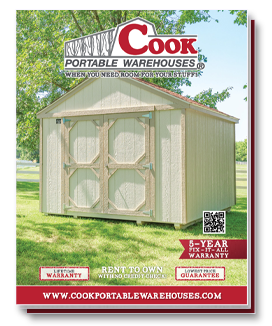 Thinking of buying a Cook Garden Shed? This worksheet will help you decide what you need!